Venezia Guides is a multilingual service of tour operator City Tours which offers guided tours in Venice with highly qualified English-speaking guides. Thanks to our multilingual website Venezia Guides you can book guided tours in Venice and in Veneto. Our specialized guides are multilingual and offer you guide services in English in Venice. 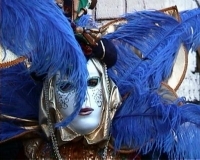 To learn about our available guided tours, please have a look at the page Guided tours in Venice. You can choose the places you want to visit as well as the theme of your visit. If you are looking for any information about Venice, its history, and its main places of interest, you can visit the pages about "Important Sights" on the right: you will find there a presentation of Venice's main monuments, such as the Piazza San Marco, St Mark's basilica, Doge's Palace, the Bridge of Sighs and the Grand Canal. To know the price list for our different services, please have a look at Venezia Guides's price list. If you want to know more about our company and our contact details, feel free to visit the Venezia Guides legal information page. You can also find a list of some partners you might need in our web directory.
. We are looking forward to hearing from you and will gladly advise you!